MODULAR HOME BUILDER: What is Inbound Marketing and Why I Should Care? What is Inbound Marketing and Why I Should Care? 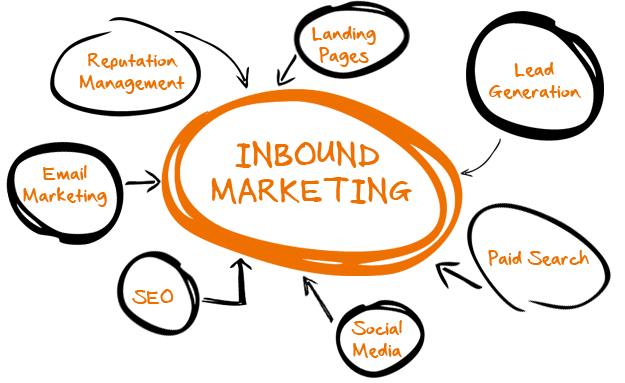 I am sure by now you have heard the term Inbound Marketing but may not totally understand its actual meaning. Inbound Marketing is a method to engage your customers by drawing them in. The “In” in Inbound Marketing refers to tools that bring the customer into your sales funnel. Blogs, Social Media, Content Marketing, video, podcasts, SEO and eBooks all serve as relationship building Inbound Marketing tools. The opposite of Inbound Marketing is Outbound Marketing. Outbound Marketing may be more familiar to you. Outbound Marketing refers to more traditional means of attracting your customer. This includes print, TV, radio and outdoor advertising, direct mail, telemarketing etc. If you would like to think of it in terms of pictures, Inbound Marketing is a Carrot and Outbound Marketing is a Megaphone. One technique is about enticing the customer and nourishing them with content and the other is about broadcasting a message. So which is better? I do not believe this is a black and white or either or situation. Just as in the phrase “All Politics is Local” I think you can say that “All Marketing is Local”. It is all about what works. Inbound Marketing is definitely not a fad as some might think but is simply the preferred way that some generations of buyers like to communicate and have information gathered and delivered. It is not necessarily for everyone. If you have a particular Outbound Marketing initiative that is working, for instance a consistent ad that you run in the local paper, don’t abandon it. Just the other day I spoke to a friend who owns a marketing company and he said that his Direct Mail business was way up. On the flip side don’t be dissuaded by trying newer ways to attract leads by using Inbound Marketing methods that you might not be as familiar with. There are Pros and Cons to each. Inbound Marketing might take a learning curb and requires work and diligence to achieve results but is relatively inexpensive. While on the other hand Outbound Marketing is much easier but may be expensive. It is important to know that you are not your customer but you should ask yourself how do you and members of your family react, respond and engage with Inbound and Outbound Marketing? How are the methods that you are currently employing in attracting your target market of customers working? To put it simply you need to meet your customers where they are and communicate with them in that place. This could be a combination of both Inbound and Outbound Marketing in your Marketing Mix. We welcome hearing your thoughts regarding Inbound versus Outbound Marketing. Feel free to post your questions and thoughts in the comments section below.